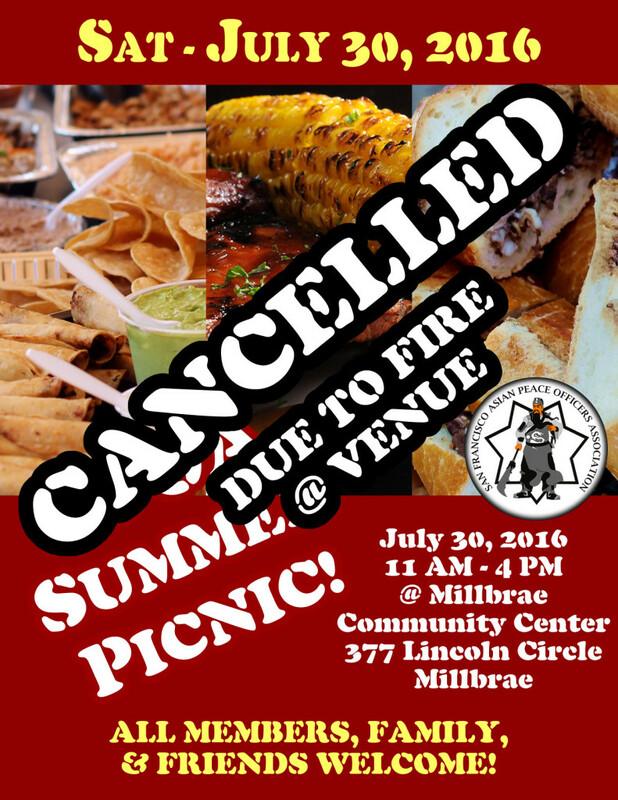 A fire at the Millbrae Community Center has forced the APOA to cancel the Summer Picnic. This entry was posted in Events on June 24, 2016 by B Kneuker. Members are invited to attend the July Membership meeting on 07/13/2016, noon at Taraval Station Community Room. This entry was posted in News on June 24, 2016 by B Kneuker.